"Life is better when your covered in Glitter!" * Oversized, lightweight and spotty, the perfect combination for a spring shirt from good old ASOS, I wore this with a turquoise New Look statement necklace and skinny jeans. * New earrings from Topshop, semi precious Onyx arrows. I saw these in one of Fleur De Force's videos and instantly bought them. So cute and great for everyday although not so phone friendly. * Primark mini haul - basic vest top, "Wake me up when it's Friday" lounge trousers and matching sweatshirt top, striped smock dress, tan perforated ballet flats (to replace a pair from last year that I wore to death), giant heart necklace and gold/glitter bunting necklace. * Cute and for charity plus a designer label for as little as a fiver, I just couldn't resist this Lulu Guinness tote bag in association with Sainsbury's, three designs available. * Finally found a cute watch, my previous one broke and I have been looking for ages and great for only £12.99 from New Look. Rose gold hardware with a grey rubber strap. * Another day, another spotty shirt combo, this time with my absolute favourite necklace from Forever 21 and my gorgeous Vivienne Westwood jelly bow ballets. 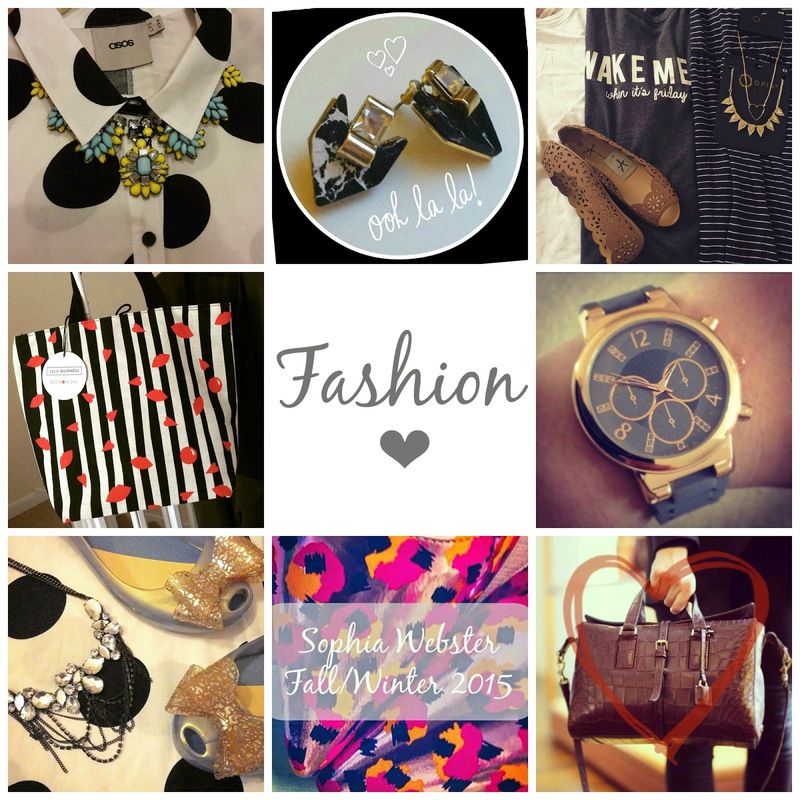 * Fashion Week Fall/Winter 2015 - my two favourite presentations. The talented and quirky shoe designer Sophia Webster, with her circus inspired collection and the latest offer from my favourite brand Mulberry, including the newest addition to my wish list. Make sure to check out both of my collection round up's on the blog. * The latest in my make up bag, new Bare Minerals foundation and Mineral veil , Maybelline lash sensational mascara and Arcancil Paris Starliner black waterproof eyeliner alongside my favourite Essie nail polish. * Decided to see what all the hype is about and took the plunge with my first Benefit makeup collection, Feelin' Dandy - Posietint, High Beam, Dandelion powder and lip gloss, perfect little set to compliment my everyday natural look. * Cute spring nail polish from H&M, pastel confetti (although not that long lasting sadly). * Obsessed with braids at the moment, two great looks with a large front braid with both a messy bun and low ponytail, the perfect mix of relaxed and chic for everyday. 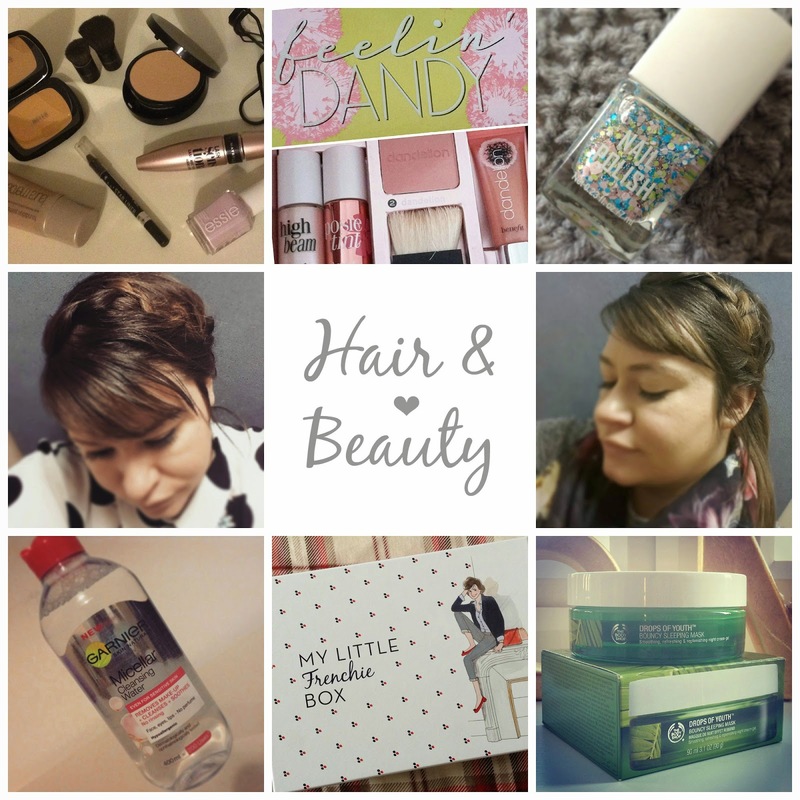 * Garnier Micellar water - can totally see why this has become a beauty favourite. Great at removing make up and daily grime although I do find it can irritate my eyes so still using in conjunction with Garnier Express 2in1 eye makeup remover. * Frenchie - My Little Box this month, with three great beauty pieces for more on the contents check out my post here. * There has been a lot of hype in the blogging world about this amazing new sleep mask from The Body Shop, "Drops of Youth Bouncy sleeping mask" - slightly pricey at £22 but so far I am impressed - review to follow in March. Have you tried this? * This months favourites from my Pinterest boards - pastels and spring styling, getting me in the mood for the warmer weather. * A very productive afternoon spent re-organising my Pinterest boards, fresh board covers and some great new finds. * New social media logo for The Glitter Fashionista - simple yet stylish. 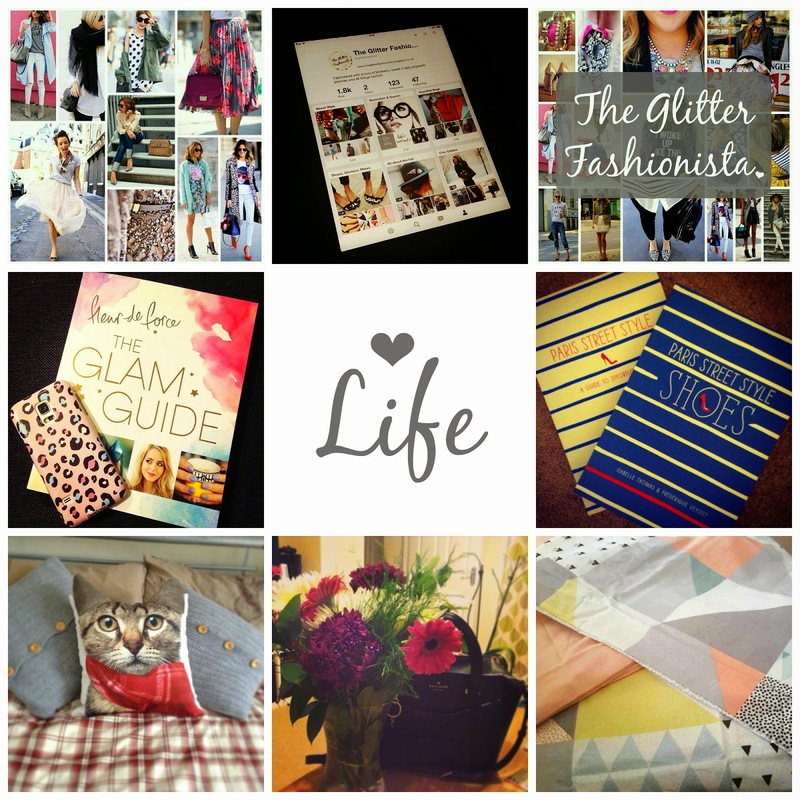 * Have been waiting for this since it's release was announced, The Glam Guide is a fabulous collection of advice, inspiration and experiences from my favourite Blogger/youtuber Fleur De Force - make sure you check out her channel. * A nice discovery in Waterstones, my favourite Paris streetstyle book now has a partner, that's dedicated to shoes!! Two loves combined, shoes + Paris = happy me. * The last of my Christmas pennies spent on this cute kitty cushion from Next, I love to sit and watch Willow on the bed as she has no idea what to make of it (think she may have even tried to wash it a couple of times!) * Gorgeous Valentines / anniversary flowers from hubby, a beautiful mix of colours and includes my favourite Gerbera flowers. * The one item from the Primark Spring/summer press day coverage that I had to have, after seeing everywhere on social media. A perfect pastel, mixed pattern bedding set - even better at £11 for the set! May have to go back and see about the matching throw and scatter cushion. 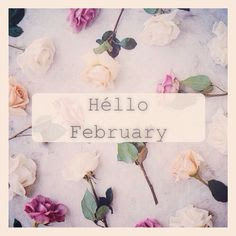 Would love to hear about any new fashion or beauty products you have been loving this month?